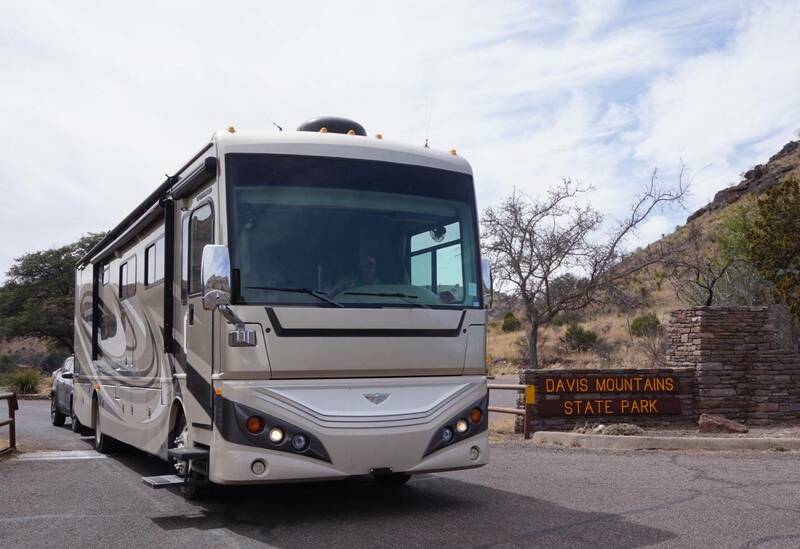 It was a windy and winding haul from our one night stop at Davis Mountain State Park on the route north to Carlsbad, NM. 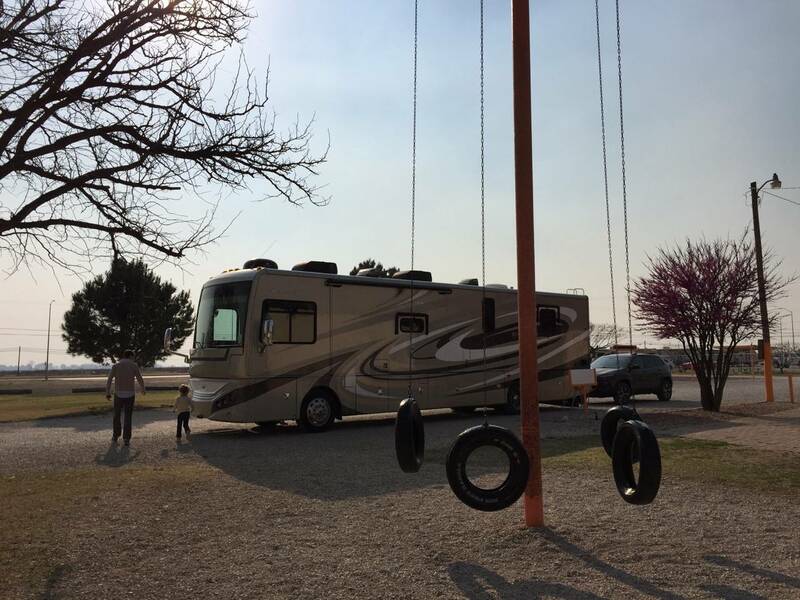 Though gusts upward of 30 mph made driving slower and arduous, we finally pulled into Carlsbad RV Park to secure the last spot they had available for the night. 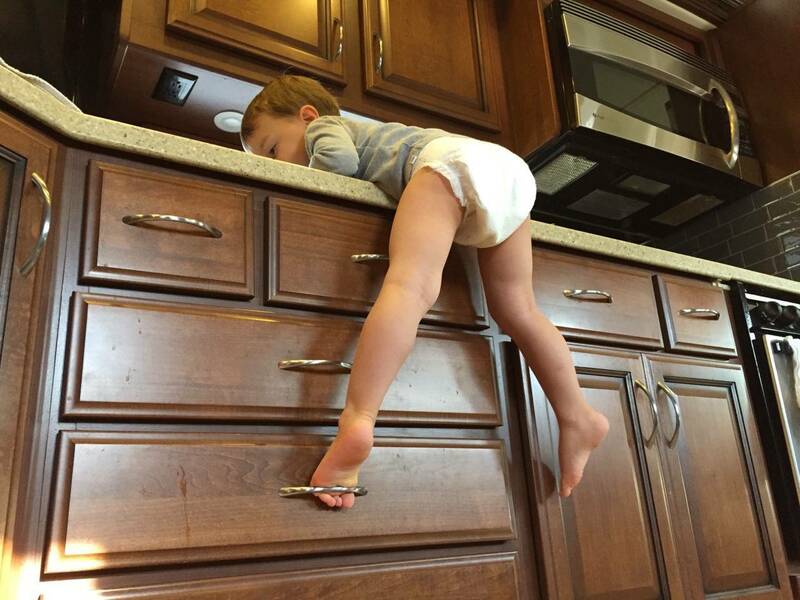 Whew. 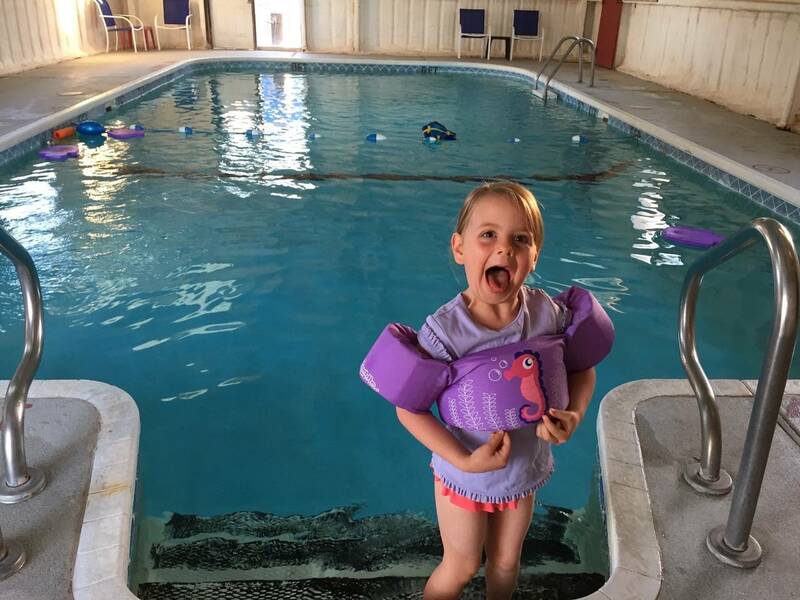 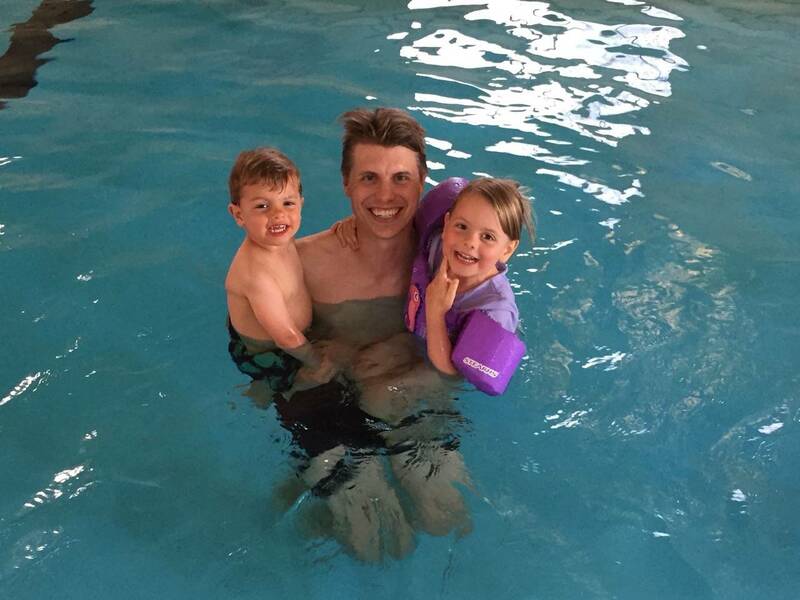 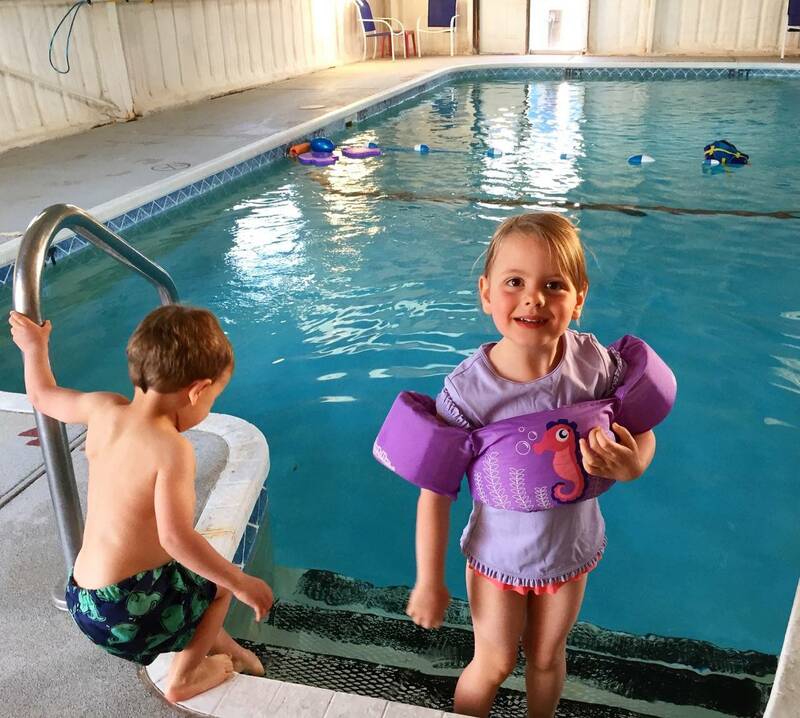 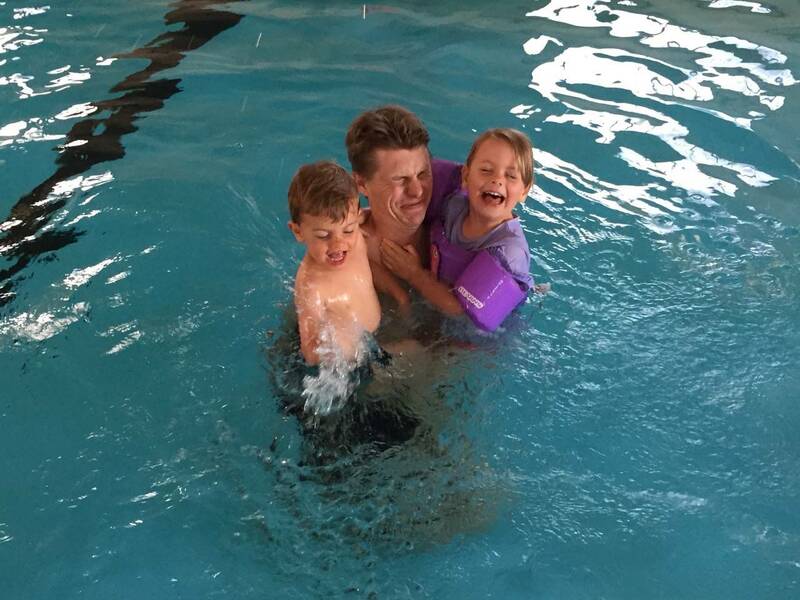 Payoff, we discovered that they had an indoor pool so the kids could burn off some energy from the long ride. 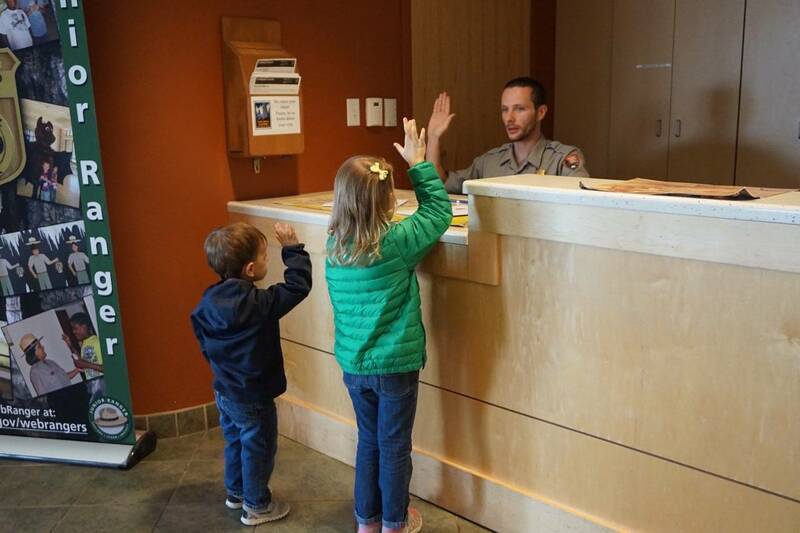 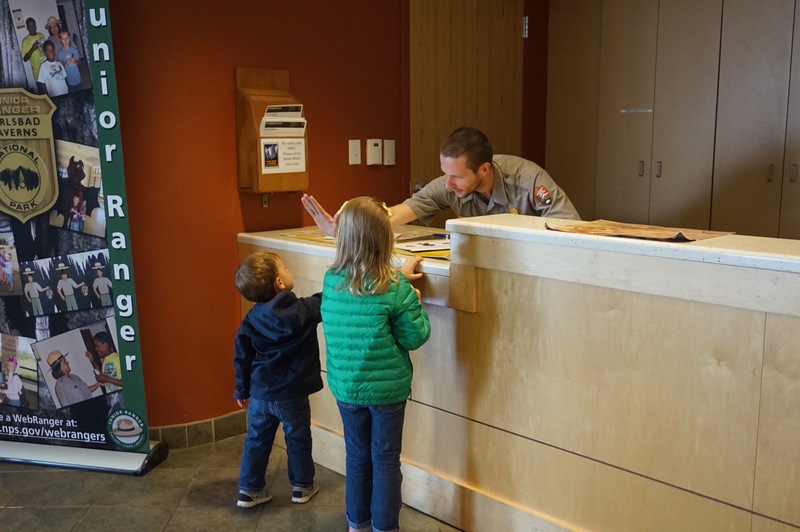 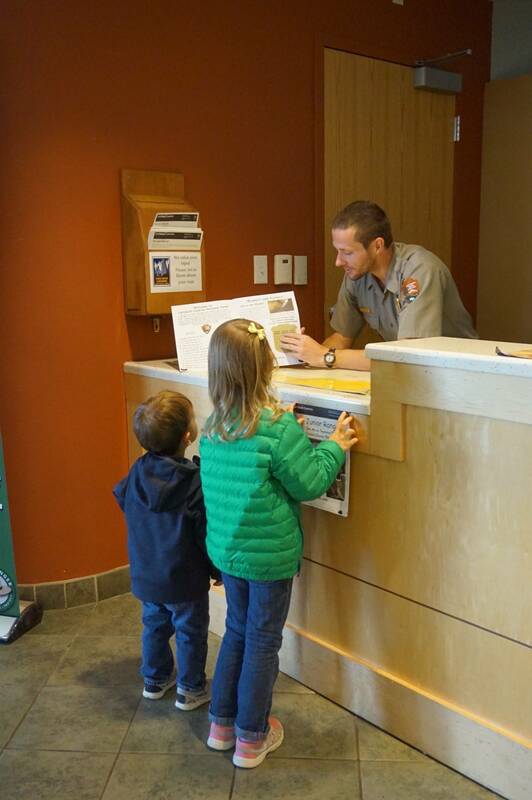 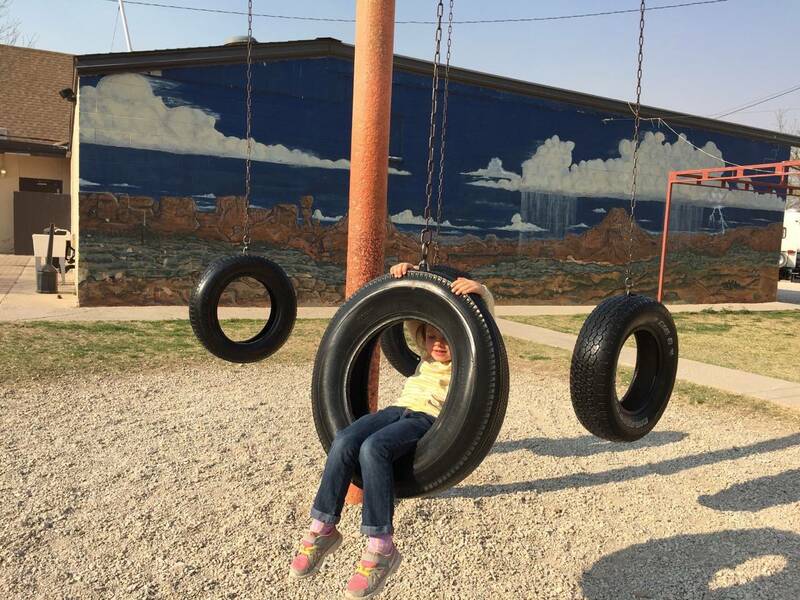 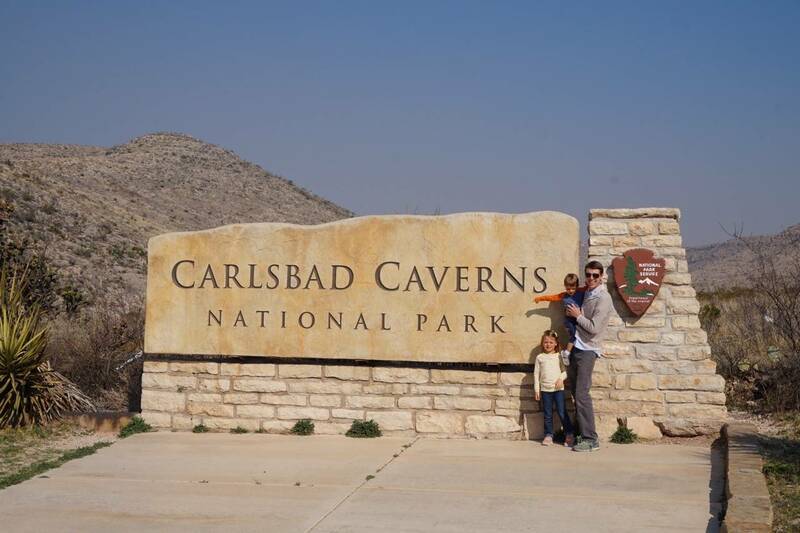 The next morning we headed out early to Carlsbad Caverns National Park where we got our Jr. Ranger books before descending over 700 feet underground to marvel at the largest cavern system in the Western Hemisphere. 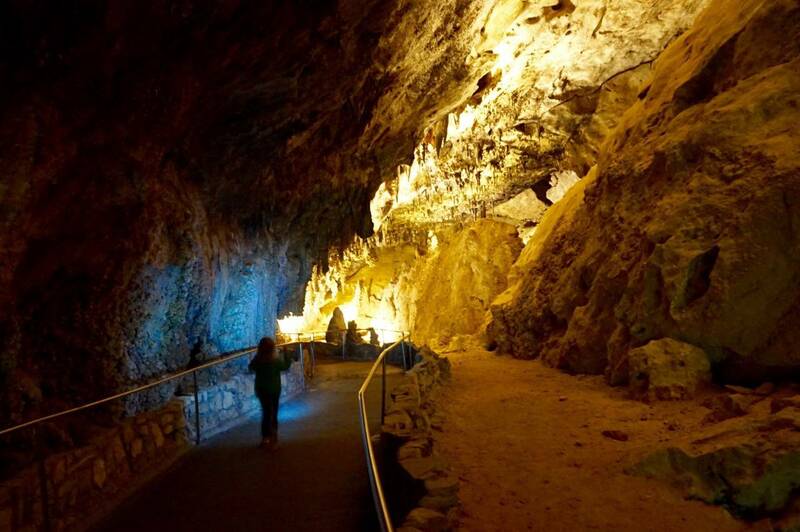 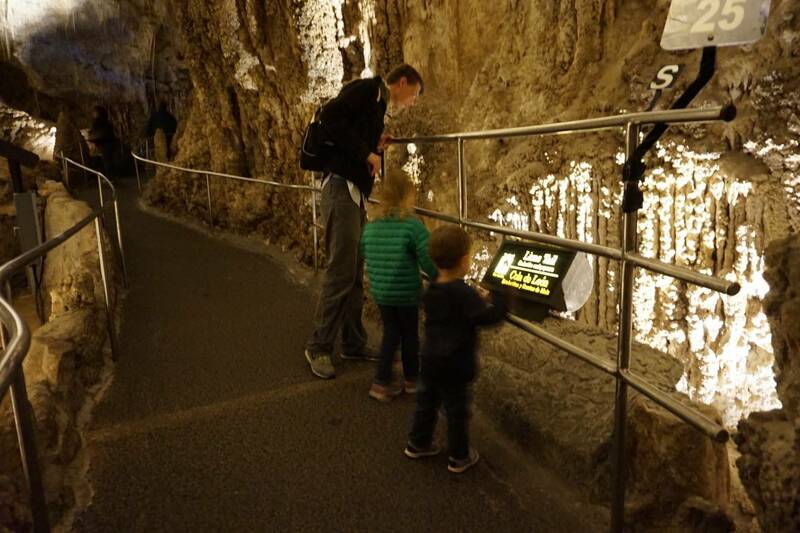 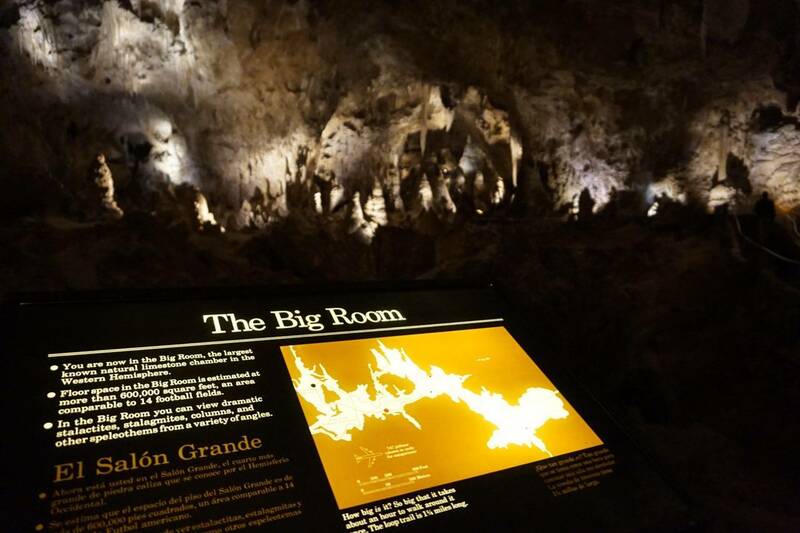 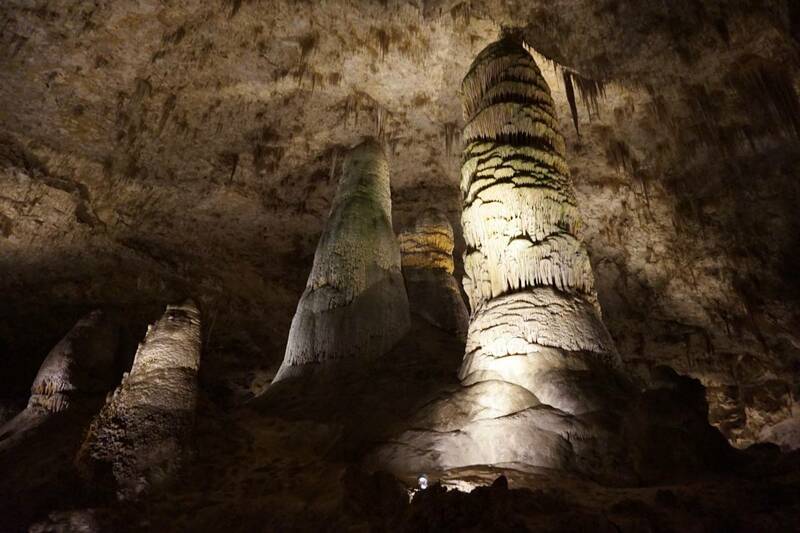 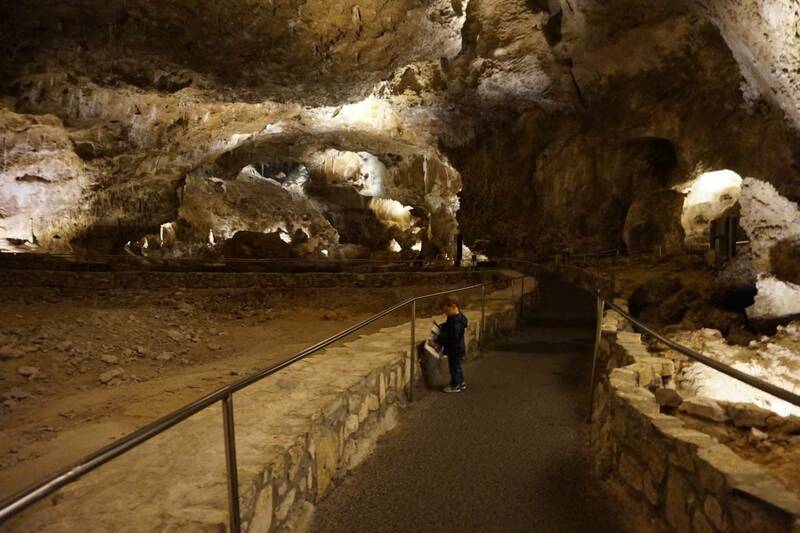 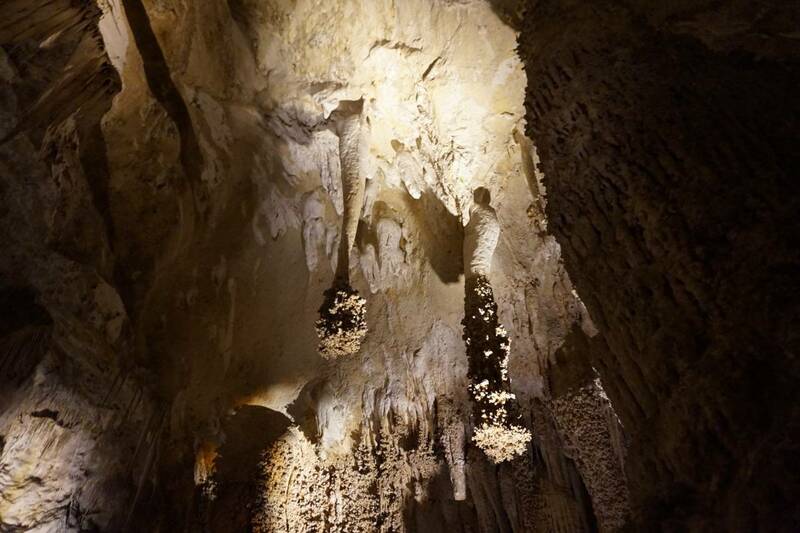 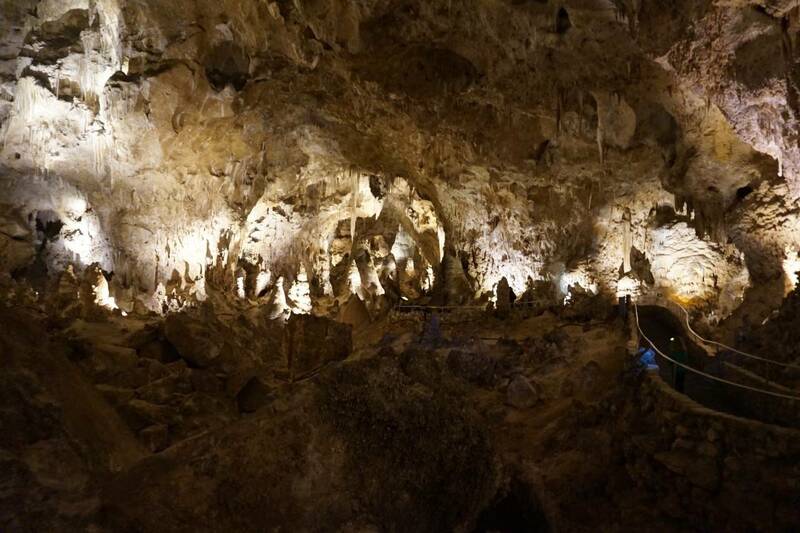 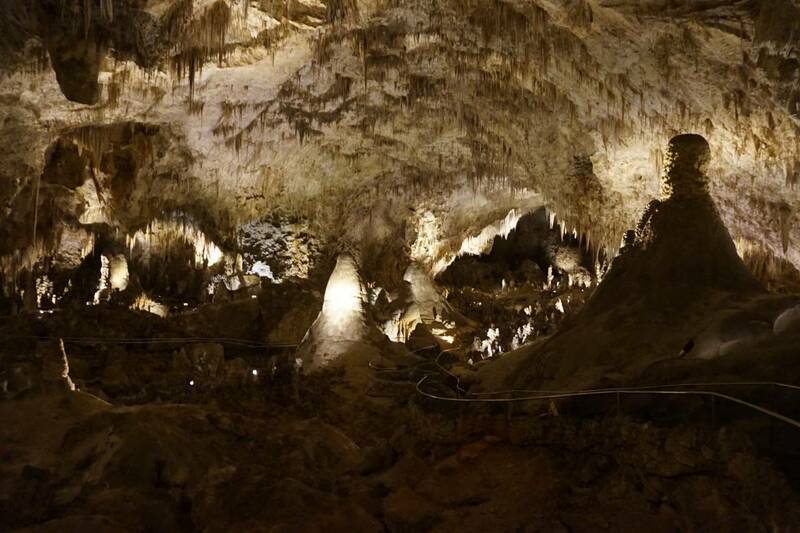 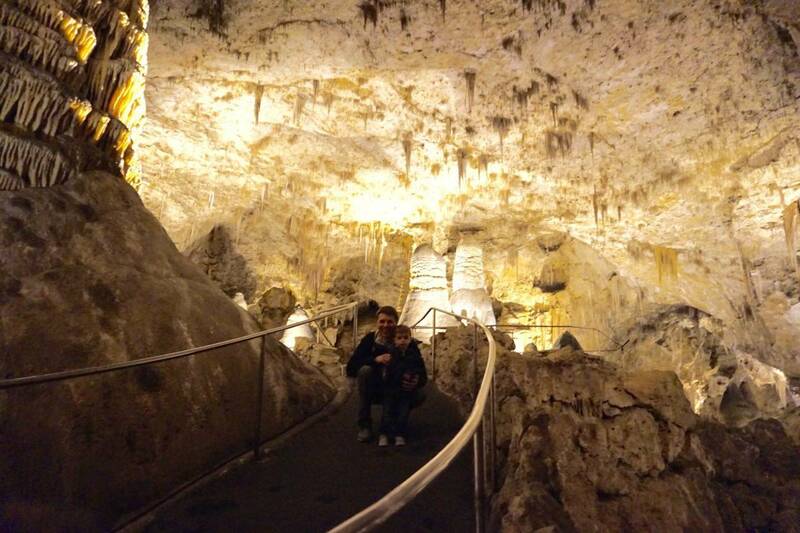 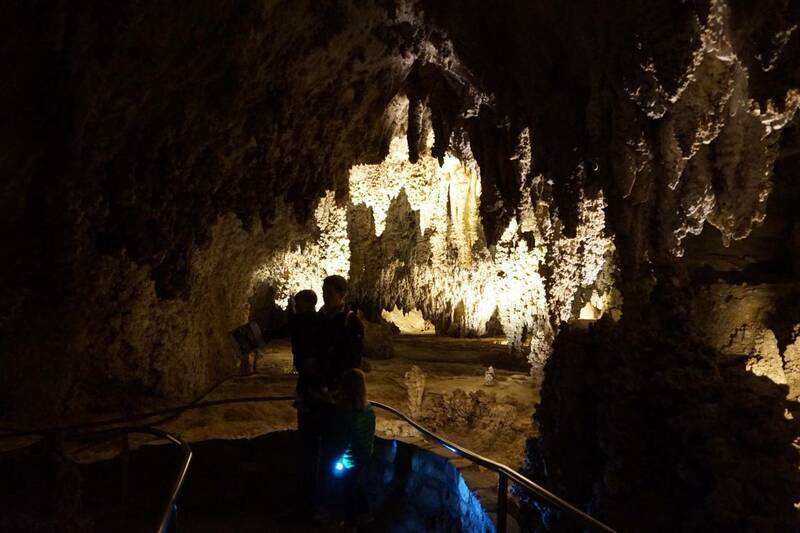 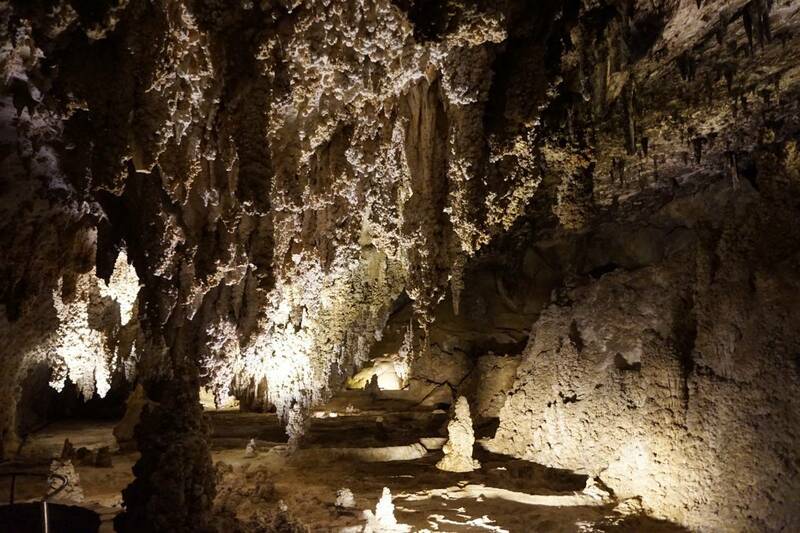 Carlsbad Caverns is one of those quintessential National Parks and it didn’t disappoint. 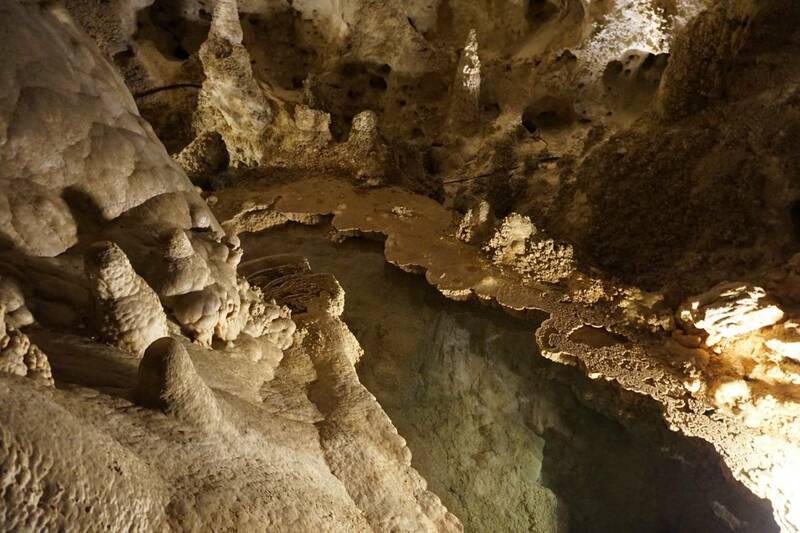 As you walk over a mile long path beneath the earths surface, you can’t help but wonder what lies beyond the cavern just off the trail or the deep hole that only gives off an erie dark glow and the drip drip drip of stalactites being formed. 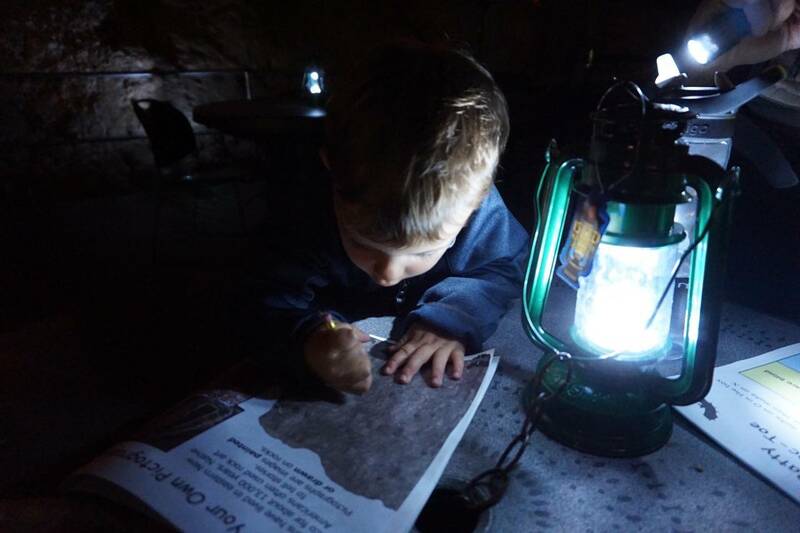 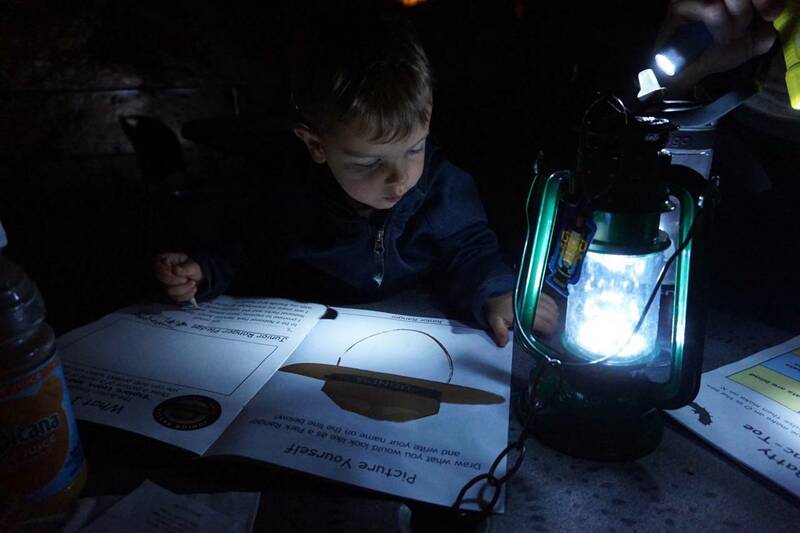 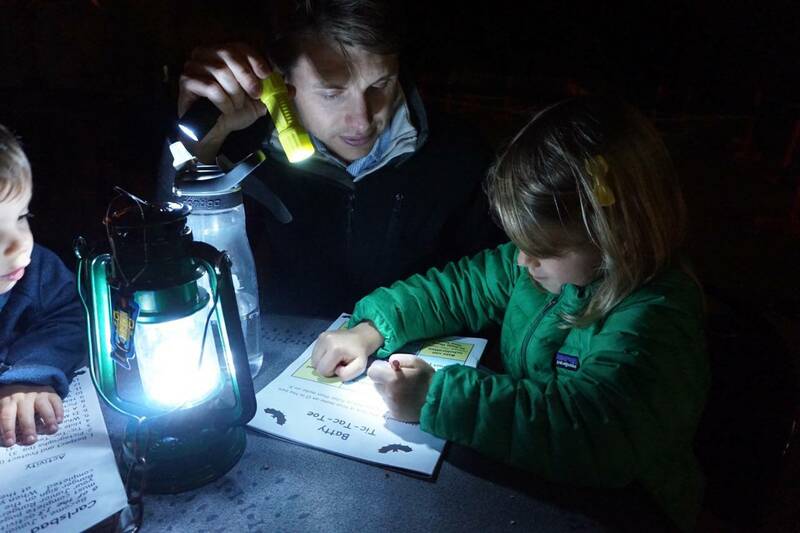 After touring the cavern, we dined in the famed Underground Lunch Room and worked on our Jr. Ranger activities by the light of small electric lanterns. 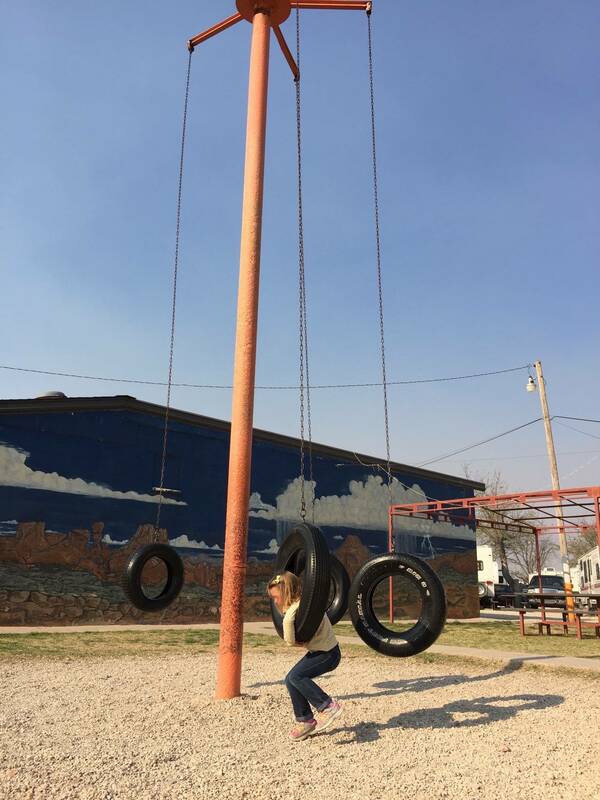 What a neat experience! 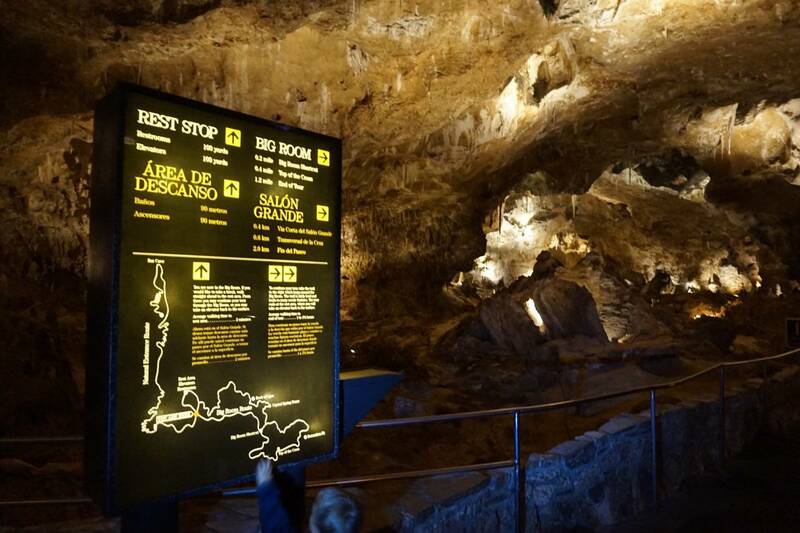 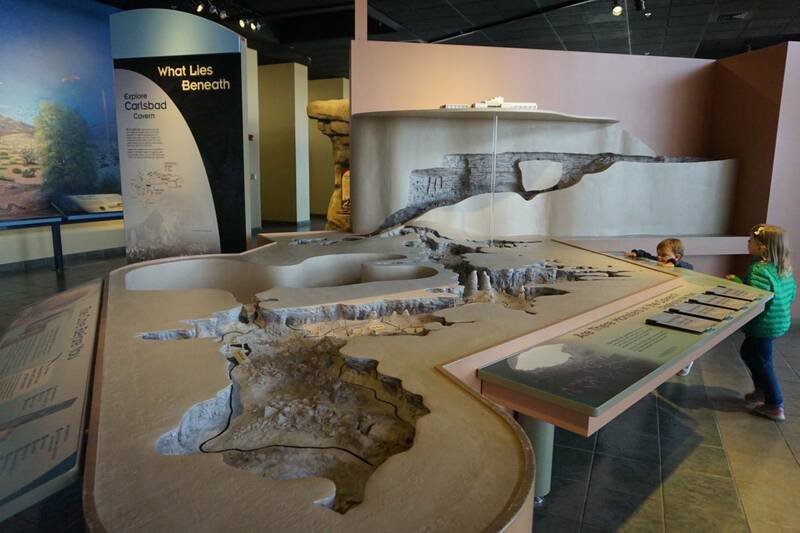 Once complete it was a long elevator ride to the surface to be sworn in and learn more in the visitors center. 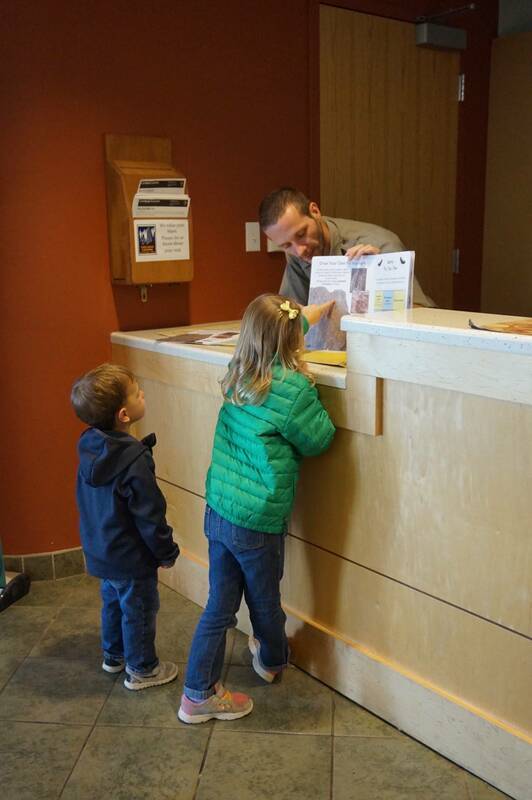 Though a quick visit, it was a worthy one. 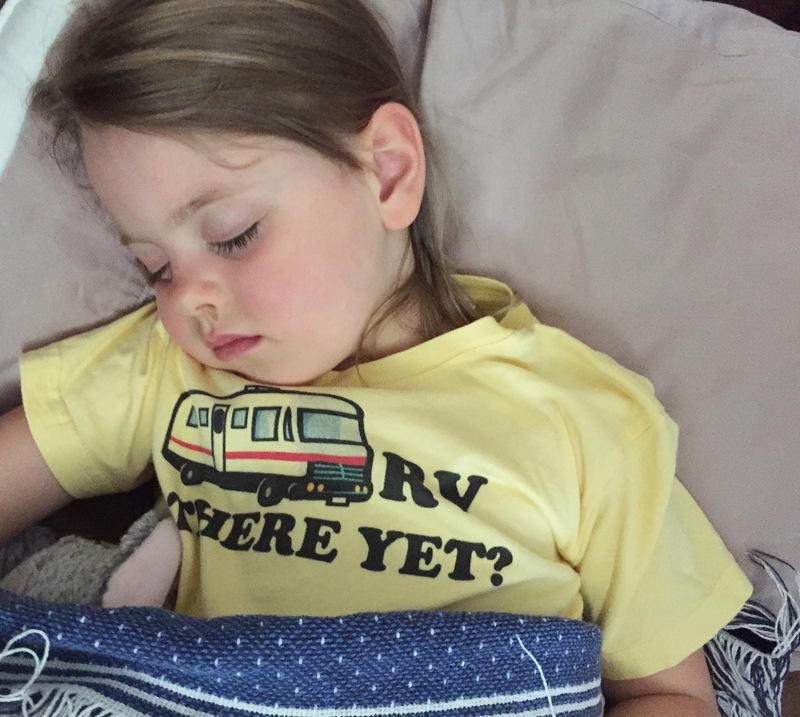 Then down for road naps and off we were. 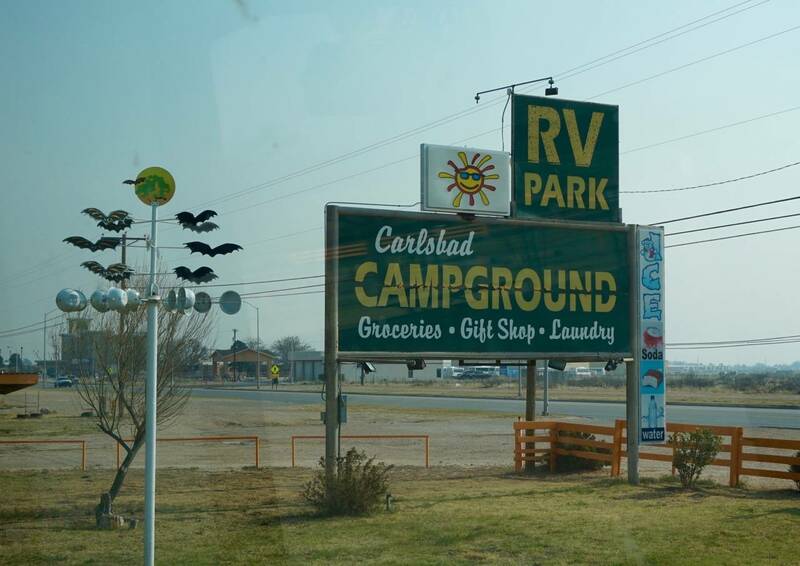 Next stop: White Sands, New Mexico.